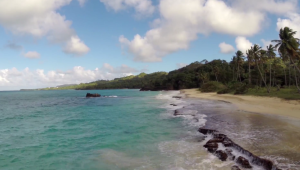 Dominican Trip 2014 from Adam Grumbo on Vimeo. The Dominican Republic is an alluring and exciting place to plan your wedding. This tiny, magical island offers more places for fun, romance and adventure than almost any place else. Add the experience of high-flying ziplines, secluded beaches, dune buggy rides and waterfall swimming holes to your wedding plans when you come to this jewel of the Caribbean. Your wedding day deserves to be surrounded by memories that enhance the overall importance of the event. What better way to do that than by flying through the forest on a thin cable? The zipline rides of the Dominican Republic are truly a one of a kind experience that will boost your confidence before the big day and keep you feeling that high for days afterward. 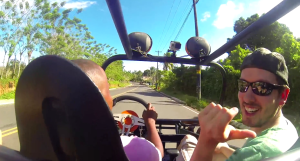 Travelling to the many beautiful beaches of the Dominican Republic is more fun on a dune buggy. Take a ride across the stunning island in these open air carts and see it up close the entire way. By the time you arrive at the majestic blue waters of the beach, you’ll feel as though you’re a part of something very special. 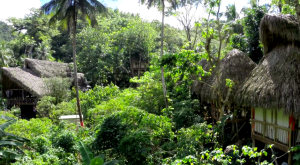 The friendly people of the island are welcoming and generous, making your trip a sensation.